Home / Market Insight, Financial Articles / Is Amazon.com, Inc. (AMZN) Eyeing the Indian Grocery Market Next? Is Amazon.com, Inc. (AMZN) Eyeing the Indian Grocery Market Next? Amazon.com, Inc. (NASDAQ:AMZN) is gearing up to be a major retailer in the rapidly growing Indian grocery market. Apart from being a prominent e-commerce platform provider, the company is planning to open brick-and-mortar stores in the country. 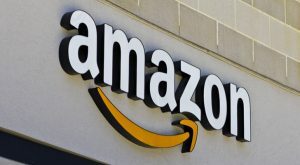 Reportedly, AMZN is seeking license under a June legislation that now allows 100% foreign direct investment (FDI) for companies that sell locally produced or sourced food items. If Amazon eventually gets the government’s nod, India would be the second country after the U.S. where it is going the brick-and-mortar way. Notably, the company’s first brick-and-mortar store branded “Amazon Go” is expected to open in Seattle this year and will offer a “check-out free” experience to customers. AMZN is also planning to open its tenth brick-and-mortar bookstore in Bellevue, WA. We note that Amazon stock appreciated 49.8% last year compared with the Zacks Internet Commerce industry’s gain of 38.5%. International expansion is expected to back the momentum for AMZN stock going ahead. Amazon is the first global player to seek advantage from the Indian government’s push to channel FDI toward improving the nation’s food supply chain. The e-commerce giant has sought the government’s permission to open food-only outlets integrated with an online platform to sell locally produced food items. Amazon plans to open a wholly owned subsidiary to conduct this business. It is planning an investment of around $522 million in this endeavor over a period of five years. Last year, AMZN announced that it will invest $3 billion in its India operations in addition to the $2 billion announced in 2014. The company has already invested more than $1 billion in India. Currently 20 fulfillment centers are operational across 10 Indian states. Recently, the company launched its popular Amazon Prime video. Amazon’s e-commerce marketplace is currently operational in India and it faces tough competition from home-grown Flipkart and Snapdeal. The company looks geared up to take advantage of the ongoing e-commerce boom in India along with the growing adoption of smartphones. The attention has shifted to India as competition from Alibaba Group Holding Ltd (NYSE:BABA) has intensified in China along with slowing e-commerce growth. Recently, Alibaba made an attempt to strengthen its footprint in India by investing $177 million in Paytm E-Commerce. The increasing involvement reflects AMZN’s intent to expand its brand visibility in India. We believe that if Amazon could successfully go the brick-and-mortar way in India, it will prove to be a huge competitive advantage against locals as well as bigwigs like Wal-Mart Stores Inc (NYSE:WMT) and Alibaba. Amazon’s accelerated push into the offline market makes sense as competition in online retail is heating up. Traditional retailers have always provided the strongest competition and a number of them are running e-commerce sites as well. Additionally, the increased use of the internet in both developed and developing economies is attracting other players to the space. While affiliation programs are being used by big players such as eBay Inc (NASDAQ:EBAY), several smaller companies could also find their own niche. Apart from giving AMZN stock tough competition in China, Alibaba is now targeting the U.S. market, which will greatly increase competition for Amazon. Further, since AMZN stock’s first mover advantage is likely to lighten up over time, some market share erosion seems inevitable. Amazon stock seems to be gearing up well in advance should online retail ever bottom out. Currently, AMZN stock has a Zacks Rank #3 (Hold). You can see the complete list of today’s Zacks #1 Rank stocks here. Did you miss Apple Inc.’s (NASDAQ:AAPL) 9X stock explosion after it launched its iPhone in 2007? Now 2017 looks to be a pivotal year to get in on another emerging technology expected to rock the market. Demand could soar from almost nothing to $42 billion by 2025. Reports suggest it could save 10 million lives per decade, which could in turn save $200 billion in U.S. healthcare costs. Article printed from InvestorPlace Media, https://investorplace.com/2017/03/amazon-com-inc-amzn-eyeing-indian-grocery-market/.